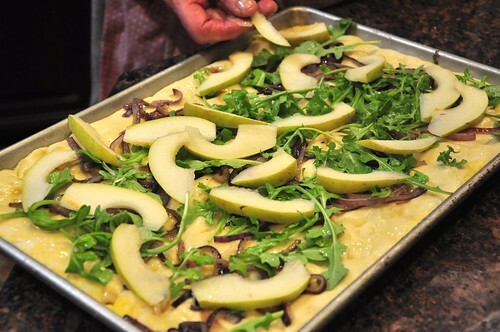 Going into the oven... sliced pear, caramelized red onion, arugula and microplaned Blue Sheese. 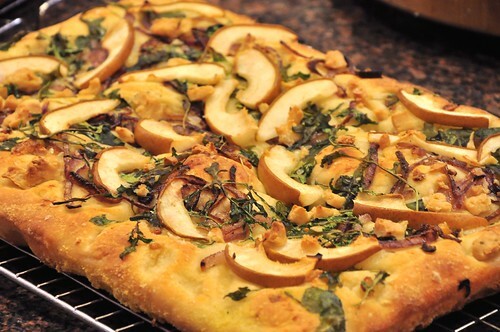 The focaccia was baked 10 minutes @ 450F, rotated and cooked another 10 minutes @ 425F. It was gently removed from the sheetpan, then cooked on the pizza stone for five more minutes.